Companies That Did April Fools’ Day Right | right on the line ltd. 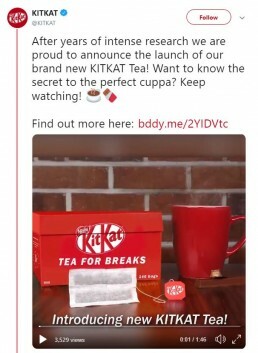 Some of the world’s biggest brands took to social media today, to prank their followers with fake products and features. Take a look at some our favourites below! Whiskey thieves beware! 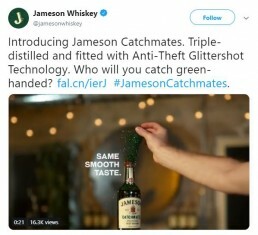 Jameson Whiskey have revealed their new ‘Anti-Theft Glittershot Technology’, in which an explosion of green glitter is released with just one twist of the cap. 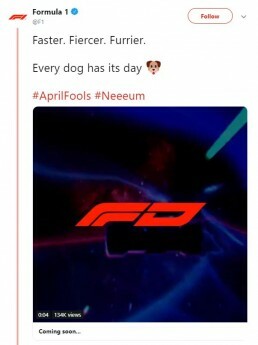 Scrap F1, it’s all about FD now – a.k.a Formula DOGS. All we can say is – can this be a real thing? 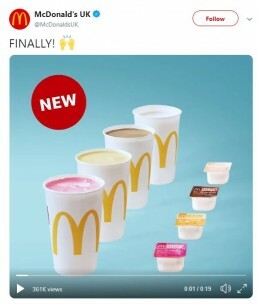 For all those who enjoy a milkshake to dunk their chips into rather than the standard ketchup or mayo, McDonald’s have finally released the product you’ve been waiting for – Milkshake Pots. Teabags in a shape inspired by the classic chocolate bar – why not? 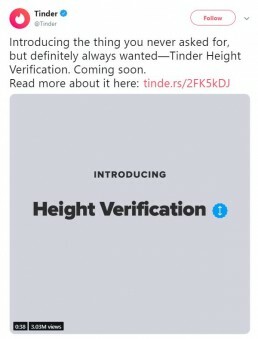 Finally, a solution to the online dating crisis – Tinder announced that they will be introducing a ‘Height Verification’ feature to their dating app, which requires you to stand next to ‘any commercial building’ to prove that the height is correct. 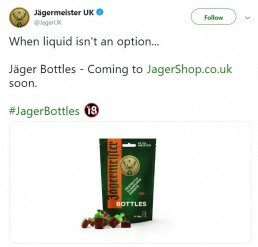 JägermeisterUK have brought out a brand new alcoholic sweet for when liquid is not an option – the JagerBottle. 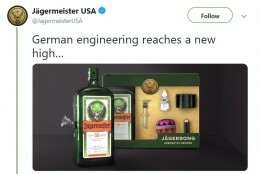 Better suited to a country where marijuana is now legal in 10 states (and with 4/20 just around the corner), Jagermeister USA cleverly announced a brand-new product – the Jagerbong. 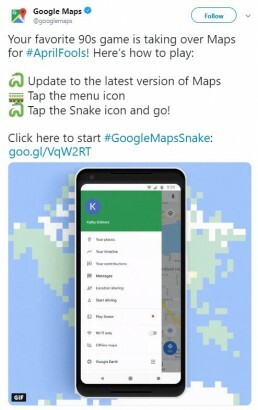 This year, Google has opted to celebrate the occasion with a nostalgic feature that allows users to turn the maps of famous cities into the classic game, Snake.